William is a Software Engineer at Lawrence Livermore Lab and former Senior Instructor of Hackbright Academy’s part-time Intro to Programming night course. 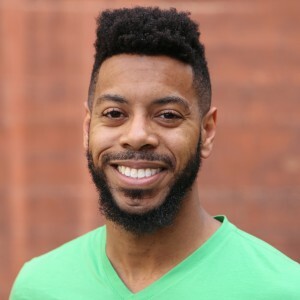 He developed a passion for teaching while earning his Bachelor’s and Master’s degrees in Computer Science from Mississippi State University. He has a drive for increasing diversity in tech and has volunteered with Black Girls Code, the Hidden Genius Project and is a member of /dev/color. When he isn’t churning out code, he enjoys playing basketball, strength training, and playing video games. Follow him on twitter at @emjay_hill. Despite becoming one of the most educated segments of the population in the past decade, black women continue to be woefully underrepresented in the tech industry. According to recent reports by NCWIT, black women only hold 3% of computing jobs . The problem is not being ignored, though. Organizations such as Black Girls ROCK! and Black Girls Code are doing tremendous work in exposing black girls to coding to strengthen the pipeline. Industry professionals have gotten in on the act as well by using their energy and expertise to create opportunities for younger generations. Here we highlight 10 dynamic black women who are making an impact on their company and community! Sheena Allen is a founder and CEO at Sheena Allen Apps and InstaFunds. She earned her B.A. in Film and B.S. in Psychology from the University of Southern Mississippi. Sheena Allen has grown her app company, Sheena Allen Apps, to have millions of downloads and is featured in She Started It, a documentary that focuses on 5 women working on their startups . She has successfully completed an internship program back in her home state of Mississippi for local college students and often speaks to minorities about the possibilities in the tech industry. Follow her on Twitter at @whoisSheena. Jasmine Bowers is a PhD student at the University of Florida. She earned her B.S. degrees in mathematics and computer science from Fort Valley State University and an M.S. in computer science from North Carolina A&T State University. Over the last year, Jasmine was named a GEM Fellowship scholar and a Committee of 200 scholar finalist. Over the years, she has worked with several community organizations, including Big Brothers Big Sisters, Boys and Girls Club, and Delta Sigma Theta Sorority, Incorporated. Recently, she served as a guest speaker at the InTech one-day tech camp for girls. In addition to her interests in computer science and cyber security, she also has a passion for financial education. After graduating, she visited her alma mater FVSU to teach students about budgeting during their annual iLead Leadership Conference. Follow her on Twitter at @JasmineDBowers. 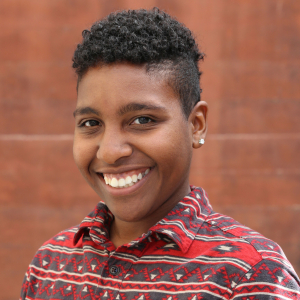 Khalia Braswell is a User Experience Designer at Apple, Inc. She earned her B.S. in Computer Science from North Carolina State, and her M.S. in Human Computer Interaction from the University of North Carolina at Charlotte. Last year, Khalia had the chance to attend The White House’s first annual Computer Science Tech Jam to kick off Computer Science Education Week. She was afforded this opportunity, in part, because of her non-profit INTech, whose mission is to inform and inspire girls to innovate in the technology industry. Follow her on Twitter at @KhaliaBraswell. 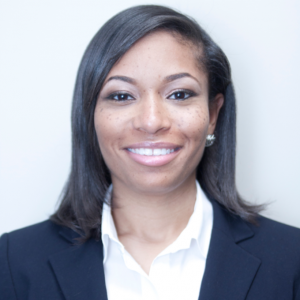 Dr. Jamika Burge owns a startup, Design and Technology Concepts, that specializes in computer science design and education, where she has worked with Google and the National Center for Women and Information Technology (NCWIT) to develop strategies for technical inclusion. She is also the new Senior Manager for Research Curriculum and Outreach at Capital One. She earned her PhD in Computer Science from Virginia Polytechnic Institute and State University, where she won an IBM Research Fellowship. Jamika has worked across multiple sectors, from IBM Research to Defense Advanced Research Project Agency (DARPA), and she is active in computer science education and STEM preparedness efforts, providing expertise for a host of funded programs funded by the National Science Foundation (NSF) and the Computing Research Association (CRA). Follow her on Twitter at @JDBurge. 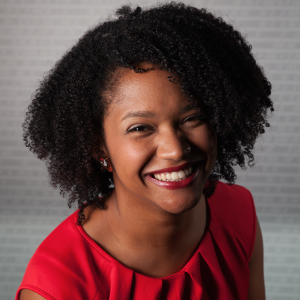 Lauren Frazier is a Software Engineer at Google. She earned both her B.S. and M.S. in Computer Science from the University of Pennsylvania. have been a professional iOS developer since graduating from the University of Pennsylvania in 2012. Lauren was the lead engineer on Google Wallet for iOS before moving to the Android Wear team. She is a member of /dev/color and a tutor with the Second Start Adult Literacy Program in Oakland. She was recently featured in Techies, a photo project focused on sharing stories of tech employees in Silicon Valley. Follow her on Twitter at @laurenfraz. Hadiyah Mujhid is the founder and developer at Playpen Labs, a software and design company. She earned her B.S. in Computer Science from University of Maryland Eastern Shore. Hadiyah has fifteen years experience working as a software engineer. Her experience spans from working with government agencies to launch satellites into orbit, to more recently helping startups to launch web products. 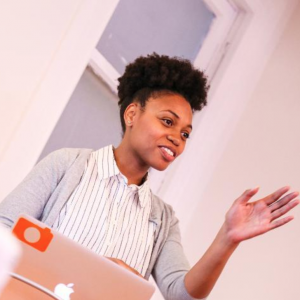 In addition to being an engineer, she’s an advocate for underrepresented groups working in tech. She created a non-profit called Black Founders to increase the number of black tech entrepreneurs. 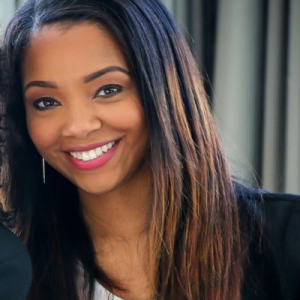 She’s also the founder of HBCU to Startup, which serves as a bridge for students and alumni from historically black colleges interested in working in tech. Follow Hadiyah on Twitter at @hadiyahdotme. 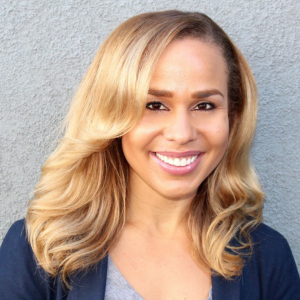 Tiffany Price is the Community Engagement Manager at the Kapor Center for Social Impact. She earned her B.A. in Chemistry and International Studies from Emory University and an M.A. in International Comparative Education from Stanford University. She also graduated from Actualize, a Ruby on Rails web development bootcamp. 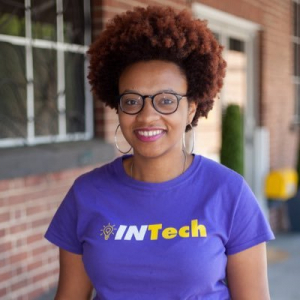 Tiffany serves on the advisory board of /dev/color, a network for black software engineers, and is a mentor for STEMinist, a new data science program for underrepresented women at UC Berkeley. 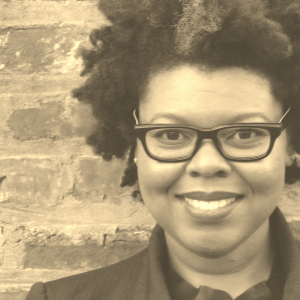 Mandela Schumacher-Hodge is the Founding Portfolio Services Director at Kapor Capital. 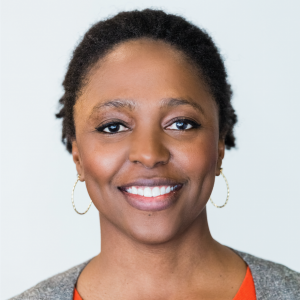 She co-launched the first ever VC-backed diversity pledge, called the Founders’ Commitment. In less than one year, 84 Kapor Capital portfolio companies signed on. Mandela works with diversity and inclusion expert and Kapor Capital Partner, Dr. Freada Kapor Klein, to develop custom workshops and resources to help these companies fulfill their commitment to build diverse teams and inclusive workplaces. Mandela earned her B.A. in Intercultural Communication, with a minor in Spanish, from Pepperdine and her M.A. in Education, Administration & Policy from Loyola Marymount University. In 2014, Mandela’s name graced the Forbes’ 30 Under 30 in Education list, in 2015 Mandela gave her first TEDx speech, and in 2016, Mandela was named to the Case Foundation’s Top 50 Inclusive Entrepreneurship Champions list, The Registry’s 40 Under 40 Tech Diversity: Silicon Valley list, and LinkedIn’s Top 10 Voices in Venture Capital and Entrepreneurship. She’s the author of three Top 20 Medium Posts, and My White Boss Talked About Race in America, This is What Happened, a piece that went viral and has been featured in Medium, LinkedIn, Huffington Post, and Black Enterprise magazine. Follow Mandela on Twitter @MandelaSH. Kamilah Taylor is a Senior Software Engineer at LinkedIn. She earned her M.S. in Computer Science from the University of Illinois at Urbana Champaign, and her B.S. in both Mathematics and Computer Science from the University of the West Indies, Mona Campus (in Jamaica). While at LinkedIn she’s worked on multiple project launches, most recently the new LinkedIn Learning app, an online learning platform. Other projects include the complete rewrite and redesign of LinkedIn’s flagship app, messaging, mobile accessibility and infrastructure. Previously she did robotics at Wolfram Research and in graduate school at UIUC. 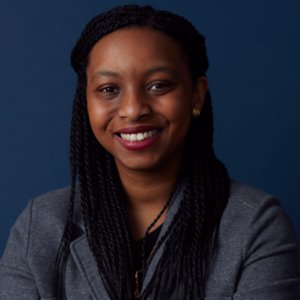 Kamilah is a co-author of the recently released “Women in Tech: Take Your Career to the Next Level with Practical Advice and Inspiring Stories”, and is helping to organize the inaugural Tech Beach Retreat in Jamaica. She volunteers for many organizations aimed at encouraging more women and people of color to choose STEM as a career field, including Black Girls Code, Technovation, MEDA, and the Palisadoes Foundation. Follow Kamilah on twitter at @kamilah. Rachel Walker is an engineer at Chalk Schools. She earned her B.S. in Computer Science from Illinois Institute of Technology. Rachel helped build out the part-time educational program at Hackbright Academy that served over 100 students and recently made her first open-source contribution. She is regional director for Lesbians Who Tech East Bay and regularly volunteers at hackathons for local youth. Follow her on Twitter at @Raychatter. Hackbright Academy is the leading engineering school for women in San Francisco dedicated to closing the gender gap in the tech industry offering 12-week software engineering programs and night courses for women.